Olloclip hit success when it developed its first three-in-one lens, via Kickstarter four years ago. 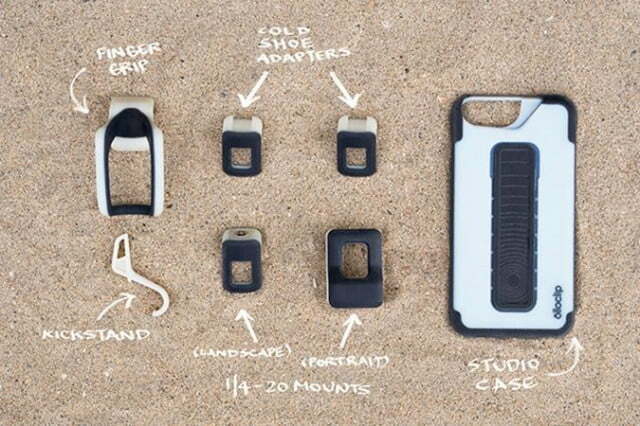 It has returned to the same crowdfunding community to help create its next product, the Olloclip Studio. 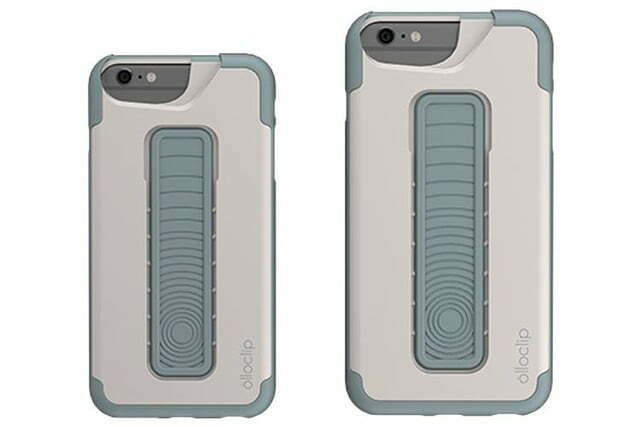 The Studio uses the same add-on concept but it revolves around a protective case for the iPhone 6 or 6 Plus. The concept is to give photographers and videographers an all-in-one production solution with their iPhones, and the Studio represents the biggest leap since the first Olloclip, founders Patrick O’Neill and Chong Pak say. 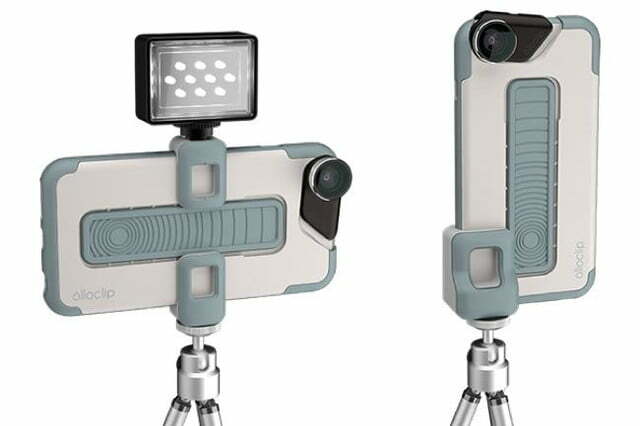 Like previous Olloclip products, the Studio is designed to enhance “iPhoneography” through interchangeable lenses – using those from Olloclip, like the 4-in-1 lens – that seamlessly attach onto the top of the Studio Case. But the case’s “integrated mounting solution” also lets you easily add on other accessories onto the Studio Case, which includes a two-finger universal grip for holding onto the case in your hand; a kickstand; two cold shoe adapters for things like microphones or lights; and two 1/4-20 mounts to attach a tripod, monopod, grip, handles, etc. Other accessories could follow in the future. The Studio Case is built to withstand drops; in fact, the case meets Mil Spec tests to withstand falls from up to four feet. Interestingly, Olloclip will a color survey, asking bacers what colors they would like to see in the final product. So the color samples in the images we see here may not resemble what gets shipped. As for the Kickstarter campaign, you can pledge as little as $35, which will get you a Studio Case and Kickstand Clip accessory, and will ship in September. 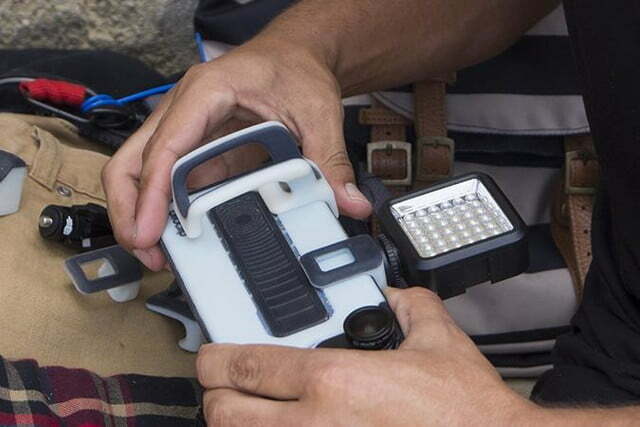 The basic solution is ideal for existing Olloclip customers who already have the 4-in-1 lens. At $60, you also get the other aforementioned accessories. If you’re new to the Olloclip universe, a $110 pledge adds a 4-in-1 lens to the package. Pledging more will get additional lenses, and a $2,500 pledge (there’s just one left) will snag you a three-day experience with O’Neill at Olloclip’s HQ. 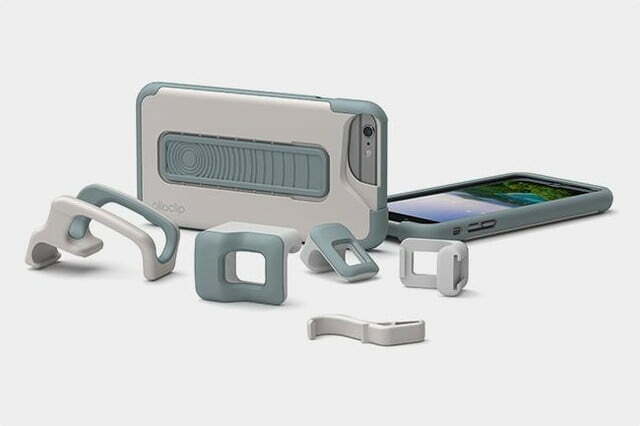 While Olloclip is well established and has products for sale at Apple stores as well as other retailers, the company decided to launch the Studio on Kickstarter to reward its community of early adopters that made the company such a success. The company also says the Studio will require new and complex tooling configurations that must be designed and built, which adds more cost to the production. The campaign runs through August 1, and, with 22 days to go (as of this writing), Olloclip is just short of $22,000 to reach its $100,000 funding goal.